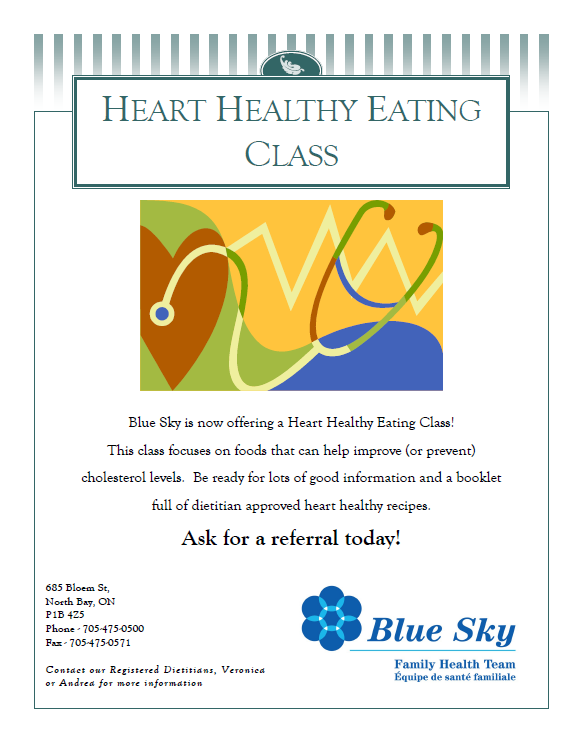 The Heart Healthy Eating class focuses on foods that can help improve (or prevent) cholesterol levels, and some food choices that may not be good for your cholesterol. Be ready for lots of good information and a booklet full of dietitian approved heart healthy recipes. Take a look at our brochure for more information.